Only half a mile in distance, but 1000 feet of descent, separate where I’m standing from the pub. 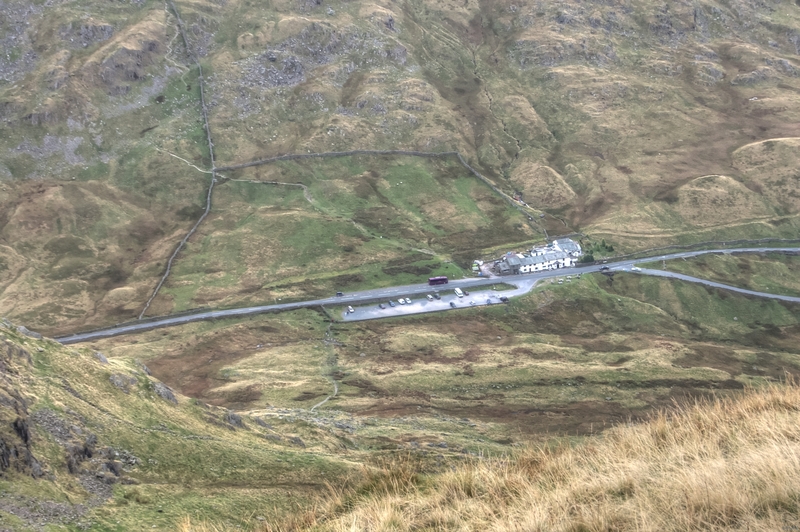 The picture was taken from Red Screes, and the pub is the Kirkstone Pass Inn. Reputed to be haunted, it is the third highest pub in England (1,480 ft). Kirkstone Pass itself is the highest road pass in the Lake District (but not the highest pass in the Lake District – that honour goes to Esk Hause at 2,486ft). If you’re wondering what the highest pub in England is – it’s the Tan Hill Inn in Yorkshire at 1,730 ft. It is also one of the remotest – but well worth a visit as the food and the beer are fantastic. Unusual and brillant – Bravo.